Life is Art Studios I By Jennifer Hall • Specializing in maternity, newborn, baby, child and family portraiture. Specializing in maternity, newborn, baby, child and family portraiture. This is my favourite place to be! I take great pride in this space & all the work that’s gone into creating the home studio of my dreams! I love crafting my own headbands, sewing new outfits & browsing fabric stores for the softest fabrics to wrap my tiny clients in! Countless hours go into each session to create an amazing custom photography experience! With attention to detail, set design & clothing coordination you can rest assured your memories of this experience & the beautiful photographs taken will be treasured for a life time! A little behind the scenes action! Can you tell I LOVE what I do! As some of you know the baby of our family went off to school this month. It’s hard to believe how fast the last 4 years have flown by! I feel like I blinked & off he was waving goodbye through the school yard fencing. His transition to school has been incredibly easy (for him) compared to both of his big brothers. He’s a very confident & independent little guy. I have to say though; not having little people at home anymore has been a difficult transition for me! For the last decade I have always had little people at home & I miss that terribly. The days when they were home felt long, but the years just flew by… & here I am… able to dive into my life during the day without anyone needing anything from me. Sounds wonderful, doesn’t it! It’s a very strange feeling & I’m still adjusting. Last night I was snuggling with my baby on the couch after school. I asked him if he wanted to chase the sunset with me. He jumped up so excited! Love his enthusiasm! The other two boys looked at me, rolled their eyes & basically told me they had better things to do. After an evening consult with a new client I grabbed my camera, & ran out the door with a little boy who was very, very excited to wear his new boots & hat. Melt my heart! We watched the sun set together & ran through the fields picking daisies. There are only a few years like this my friends! I plan on cherishing them & capturing these moments so we can all look back at those simpler times! The years of daisy picking, sunset chasing, & little arms wrapped around my neck! I will remember them always. To book a session like this at golden hour please contact me via email at info@byjenniferhall.com or fill out my contact form for more information. Over the past few years I’ve loved getting to know this beautiful family! It was a cool crisp September morning; although we didn’t get a golden morning sunrise, we did manage to get the most beautiful overcast & clear blue sky’s. Which allowed us to tour into the forest for some gorgeous images! Don’t let their pretty dresses fool you, these girls are little adventurers & they were out to explore & have FUN! If you love this location & are thinking of family portraits over the next few months before the snow starts to fly here in Barrie, Ontario be sure to contact me asap! Fall family sessions spots are very limited. Click here for more information. 2017 Limited Edition Christmas Sessions! Space is limited so book your session today! Times: 25 minutes in studio starting at 9am – 1:30pm each day. An additional day will be opened up if these sell out. Includes: 3 Digital images of your choice & a $50 print product credit to be used at your in-studio ordering appointment. Please click on this link to choose your date & time. Once you’ve chosen your preferred date/time you will be sent an email to secure your spot by payment through paypal or email money transfer. Session dates & times will be booked on a first come basis. Payment must be made within 24hours to secure your preferred session date & time. Below is a little sneak peek at the backdrop/theme this year. There will be 2 different sets! A chic and stylish winter tepee & a rustic snowy forest. This year the set is large enough to accommodate a family portrait as well! 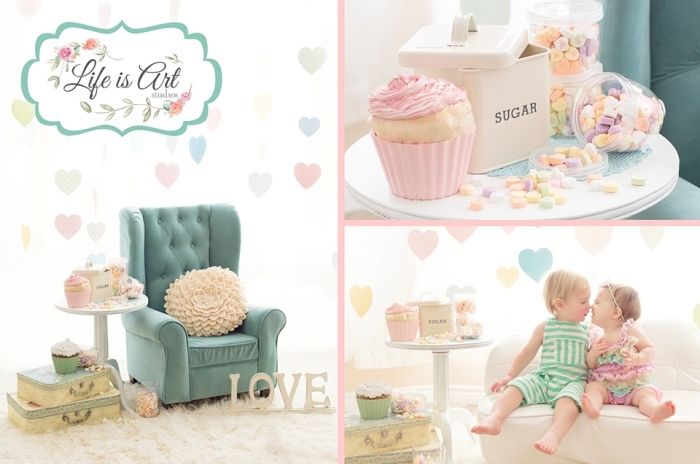 These sessions are perfect for creating greeting cards & beautiful gifts for family & friends. For that reason Life is Art Studios is offering Christmas Packages for print products at your Reveal & Order appointment that you’re sure to love! Samples of all products can be seen at the studio during your portrait session. If you would like to see more from last year’s Winter Wonderland set design you can check that out here. Happy Easter from Life is Art Studios! Wishing all of my wonderful clients a very HaPpY Easter weekend! Cutest little Easter Bunnies EVER! Enjoy! If you would like updates on Life is Art Studios next Limited Edition event please click here & enter your email address to subscribe to our mailing list & be sure to check out Life is Art Studios Facebook page to be the first to hear! Oh Boy! Life at Life is Art Studios! 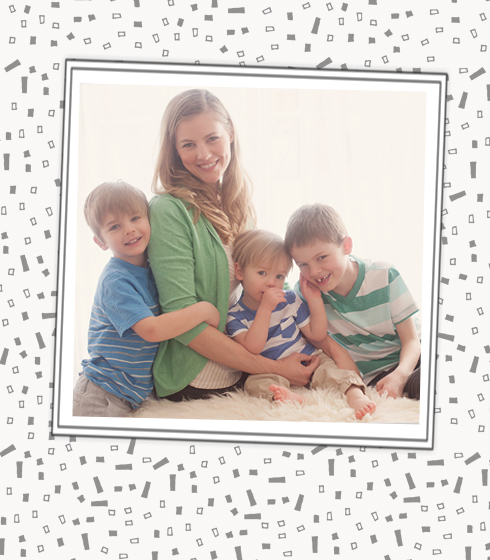 As a lot of you already know I am a Mom to three handsome young men ages 9, 7 & 3. They are by far my greatest photography challenge! They’ve taught me more about learning patience as a photographer (and a human) than any training I could possibly receive! My children have pushed me to learn new ways to grab the attention of tough cookies; break little ones out of their shyness, & capture the true spirit of wild ones! I have all three personality types & I thank God every day for giving me the chance to be their Mama. Which brings me to the reason for this blog post… A few weeks ago my Mom (AKA Granny) bought my monkeys t-shirts & asked that I photograph the boys wearing them. I thought… Oh man… Trying to photograph busy boys in tacky t-shirts is so not my thing! To humor her, I decided to set up a little photo-shoot. I snapped a few quick images of them in the t-shirts. The shoot was quickly getting out of hand. I was done & ready to end it… but I thought, it’s been a long time since they’ve all been in front of my camera & I should probably capture some of them being their silly selves. They were warned that the backdrop paper on the wall was temporary & to be careful how far they moved back. They started wrestling & I just had a feeling I should start video taping the ending of this awful session. Glad I did, because this will go down in the books as the funniest photo session yet! I’ve been busy here at Life is Art Studios preparing for another big event happening April 10th & 11th! I’ve been crafting BEAUTIFUL flower bonnets & sewing pretty little rompers for babies ages 6 months – 2 years. Babies will need to be sitting steady on their own unassisted for these sessions. Space is limited to 4 sessions per day. Only 8 sessions available! Booking for these will open Thursday March 23rd at 10am! Keep an eye out for the ad on Facebook & be sure to pay your session fee to hold your spot. If you’re not on Facebook please email: info@byjenniferhall.com on March 23rd at 10am to snag a spot. Bookings will be made on a first come basis. Here’s a little taste of some of the outfits & bonnets I have available for these Flower Bonnet Sessions! A few more will be added to the collection before the big day! Interested in a portrait session at Life is Art studios? Click here to inquire or send an email to info@byjenniferhall.com for more information. Barrie Photographer • Ireland is Three! I have so much blogging to do! This session is from September 2016! Fall was a busy time & I have so many beautiful sessions I’d like to share from last year! Ireland has been coming to my studio since she was just 6 months old. I’ve LOVED watching her grow & change over the years. I can hardly believe she’s three already! I’m so happy she came to celebrate her Birthday with me here at Life is Art Studios. Interested in celebrating a special someone in your life with a portrait session at Life is Art studios? Click here to inquire or send an email to info@byjenniferhall.com for more information. In February 2016 I had the honour of meeting this tiny squish & capturing all his newborn sweetness! It’s truly amazing to see how much a baby changes in just one year! From sleepy snuggles to busy baby boy! Spencer’s Mom contacted me to plan his 1 year Cake Smash celebration & I could hardly believe it had already been a year! The theme she chose was “Little Man” & as soon as the words came out of her mouth I had already envisioned a black & white set with a pop of colour. I love how this set turned out! Spencer LOVED his cake & made sure he polished off as much of it as he could before his bubble bath! Each Cake Smash Session at Life is Art Studios begins with “before the mess” portraits, the smash, & ends with a warm & bubbly bubble bath. If your little one decides they’re not as interested in the cake part as sweet Spencer here was we’re sure to get lots of before the mess portraits, and I haven’t met a baby yet who didn’t love the bubble bath part. If you have a little one turning the big O-N-E in 2017 be sure to contact Life is Art Studios in Barrie, ON to book your session. I love to plan these sessions in advance so we have lots of time to create beautiful sets to celebrate this huge milestone in your little one’s life. Over the years I’ve photographed thousands of precious interactions between Grandparents & Grandchildren. After the loss of my Grandma I spent hours & hours reminiscing my way through old albums. Looking at the images of her & her Grandchildren (& Great Grand children). I’ve come to realize that one of my absolute favourite subjects to photograph are these special moments. There’s nothing quite like it. I’ve always LOVED being around older people, and of course you all know, BABIES! Put them together & my passion for capturing this generation gap in a single image is profound! Since I was a little girl people used to call me “an old soul”. Being home-schooled as a child my siblings & I spent a great deal of time singing in nursing homes & volunteering our time to the elderly. Maybe that’s where my love for this generation began, but I’ve always enjoyed being around people who’ve lived & loved. Interested in booking a Legacy of Love Session with Life is Art Studios? Please click here, or email info@byjenniferhall.com for more information on our special Tuesdays Promotion! Sadly a few days before Christmas I said goodbye to my Grandma. As I sat beside her hospital bed she asked me to show her the photo of my Grandpa & told me she was tired & wanted to go see him. I asked her to tell him I say hello. I kissed her cheek, held her hand; & I knew she would deliver my message. My heart is aching, but I know she is finally with him. It’s a beautiful picture in my mind. She waited almost 6 years to see him again. My Grandma was the strongest, sweetest, most selfless person I have ever met. She fought with courage & strength through life & carried her sense of humor with her to the last breath. She will be greatly missed by so many & always in our hearts. My boys have gained yet another guardian angel. While preparing a slideshow of my Grandma’s life for her funeral I collected over 300 photographs from all our family members. What I noticed as I went through them was that certain images struck a chord in my heart. They weren’t the big group shots where everyone was smiling for the camera. They were the candid moments. The hugs & kisses, story times, blowing out candles & the way she looked at her Great Grand-babies. This got me thinking about some of the images I’ve taken of my children with their Grandparents & Great-Grandparents over the years. I’ve captured hundreds of special moments & decided to have them all printed in a beautiful heirloom album. A Legacy of Love to be treasured through the generations. Below are just a few of those images. Although these images are technically not the strongest images I’ve taken for my portfolio; on an emotional level, these are some of the most beautiful pieces of art I have & they will only become more & more priceless as the years go on. I hope I’ve inspired you to grab your camera & capture those moments. If you’re interested in setting up a “Legacy of Love” Portrait Session with Life is Art Studios please contact me today to hear about our special promotion for Grandparents.